I discovered this band in a record store in Stockholm. This song ‘Sea of Lies’ was playing through the speakers, I liked it immediately; the melodic heaviness with dark undertones and fantastic choruses and composition was something I hadn’t heard before and I bought the album the same day. I’m glad I did, it has given me so many great experiences over the years. Released in 1997, it’s still their best album in my opinion. After discovering that the word ’monolith’ is used in quite a few song- and album titles (here), I started to look for other words that are common in heavy metal. With the help of my buddies on The History of Metal forum on FB, I ended up with a pretty long list of songs, albums and band names that have the word ‘hammer’ in them. So what is the deal with hammers? A heavy, crushing, smashing weapon made of metal. That represents the sound of many bands in our favourite genre. 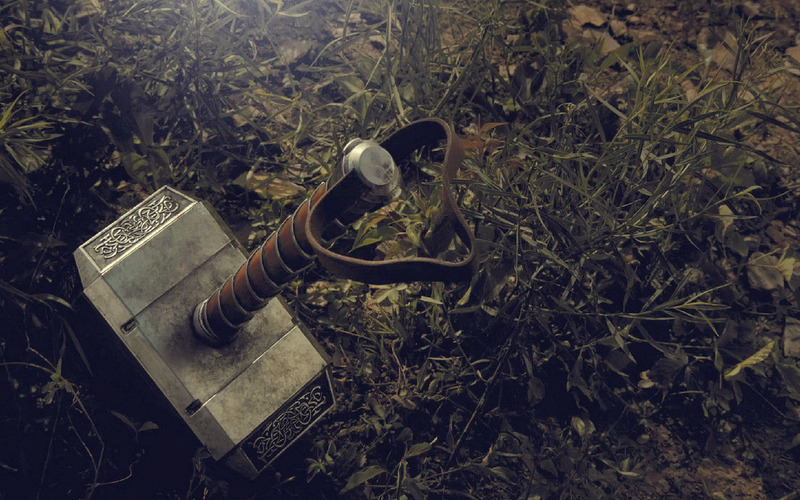 But it can also be a mysterious and mighty magic item, like Thor’s hammer in old Norse mythology. There is also the judge’s hammer of justice that has the power to change your life. And, of course, the construction tool that makes lots of noise, used to build up and break down structures. What do you think is the reason so many bands chooses to include hammers in their music? It’s not always obvious what they symbolize in the lyrics. What’s your interpretation?